THIS ITEM CANNOT BE PURCHASED WITH CURRICULUM CREDITS. 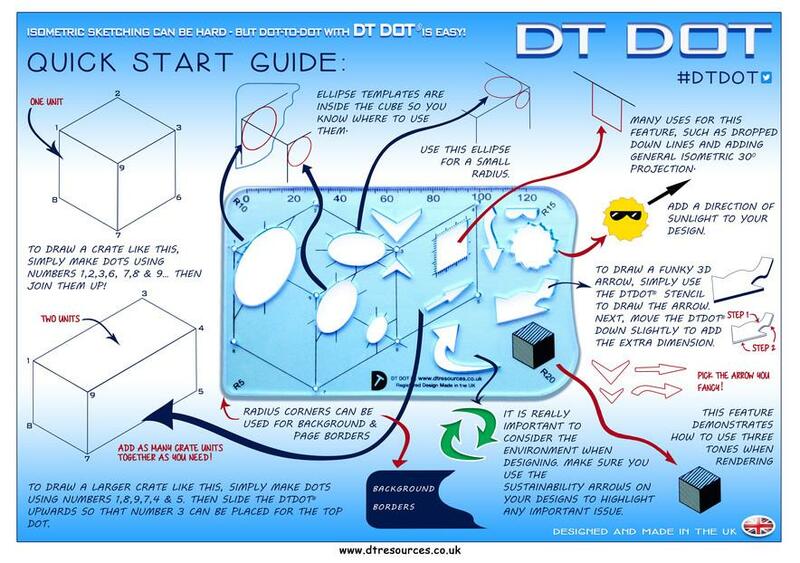 The DTDOT is an isometric drawing tool that contains many attractive features to help create the perfect 3D design. It was featured in Designing magazine and has since become extremely popular in schools. This item is a download and the link will be sent to you once the item has been paid for by email from our office. It is not sent as an automatic link. This is now available to D&T Association members at the special price of just £2, including vat. Non-members price is £20. The tool includes a pre-marked isometric pattern that can be used to create drawing crates of any size by simply adding cubes and rectangles side by side. It also has a selection of ellipse tools placed in such a way that you can't use the tool the wrong way up. Some funky look arrows encourage good quality annotation and there is a special arrow to be used when adding a sustainability point to a design. Finally the sun stencil and glasses help the user identify a light source for their design. 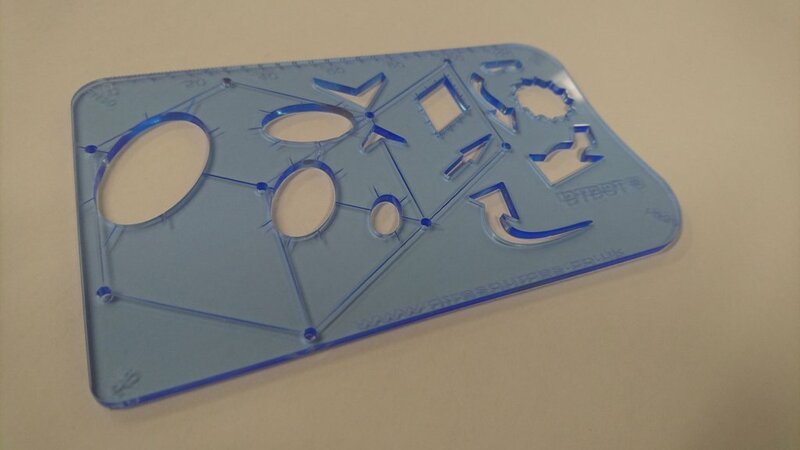 This dfx file allows you to laser cut your own isometric stencils for your whole school. Each line on the dfx is coloured so you know which part to cut at full power, part power or engrave. A stencil takes around five minutes to cut, so a class set can be produced in around two hours. The resource includes the dfx file, the article from Designing and a quick start guide image to get your students using the tool and will be sent by email once an order is placed and paid for. Digital resources may only be copied by the purchasing institution for their own use.